An earthquake. A fire. A hurricane. A tornado. For any home owner, these events are terrifying to contemplate. But these natural disasters coupled with the possibilities of boiler explosions, elevator failures, and watermain breaks pose an even greater threat to the closely connected units of a timeshare resort or high-rise villa. Managers and the leadership of the resort’s homeowners association boards are responsible for the health, safety, and general welfare of the owners, exchangers, and guests. Yet too often the time for advance planning for these occurrences is lost to budgeting, daily operational issues, owner services, and meetings. Don’t get me wrong: those items are important. But I believe the development of an active plan to protect both people and property is pretty important as well. Planning ahead and planning wisely can minimize the destructive effects of a disaster and can prepare the resort property for calm, thoughtful reaction and quick restoration. In preparing to facilitate ARDA’s regional resort management seminars, I have completed quite a bit of research on the process of disaster planning. I am not, by any sense of the word, an expert; still, I’ve learned a lot from the in-the-field experts that attend and contribute to those regional meetings. Here’s a brief look at some of their advice. Advance planning helps mitigate any type of catastrophe. Is your resort at risk for any natural disasters? The resorts in the Wisconsin Dells area probably don’t have to spend much time on hurricane preparedness, but they do have to consider ice storms, blizzards, and tornadoes. In the same manner, a management company with local properties in Southern California or Florida may have a great plan for hurricanes but may not have thought about what happens when the water supply is cut off for three to five days, what happens in the case of a toxic chemical split, or what to do were a guest or owner to pass away while registered in a villa. While you’re planning, consider having candid conversations with local fire and rescue personnel, law enforcement and insurance company representatives. These professionals may have great insights in to risks and ways to maximize your resort’s community resources. Are you sure about your property’s insurance? To be truly prepared, a resort and its owners association must evaluate its insurance coverage before a disaster actually occurs. During this review it must determine the adequacy of both the dollar amount and conditions for exclusions. Will the association’s cash reserve be enough to cover the deductible? Deductibles can be expensive and no one likes to be surprised with more bills. The association should let its members know ahead of time what their individual responsibilities will be regarding deductibles. In the event of a catastrophe at your property, insurance companies will want to know how well you prepared, how you protected life and property and how soon you will be back in operation. What is the property’s current state of readiness? Is there a working inventory of emergency equipment? What plan has been developed for these scenarios: no communications, no electricity, no water and no food? Where is the command center? How will it be staffed and by whom? Does the property have an evacuation route? Is there a comprehensive list of all emergency contacts? This sheet should contain the day, evening and cell numbers for all managers, directors, staff, contractors, insurance agents, insurance adjusters, and various professionals who may be needed in an emergency. Update it every six months. Where are the lists of brand names and models of pumps, motors, major appliances, and pool equipment? Blue print drawings and schematics of buildings including utility distribution lines, sanitation and storm drains and the locations of cutoff valves and switches should be kept handy, too. What is the recovery plan? This incorporates a variety of items like photos to document damage, the temporary repairs to undertake to prevent further damage, debris removal, insurance terms, the reliability and availability of contractors and supplies. It must also answer what happens to the staff after a disaster. Thinking ahead requires serious consideration of several key issues: insurance coverage; long-term advance planning; actions for before, during and after an emergency event; and operational recovery strategies. 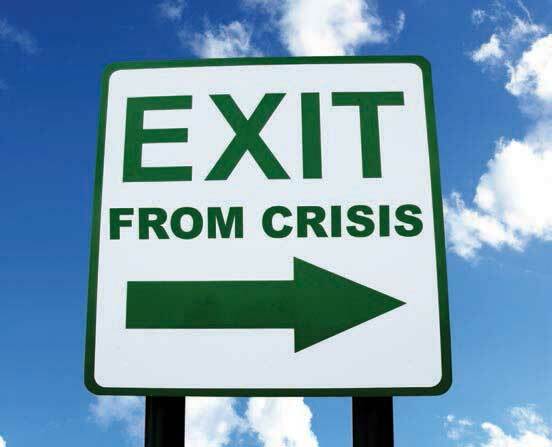 Of course, we all feel that the best emergency plan is one that never has to be implemented. But if the day arrives and you need one, you’ll be very thankful the work was completed ahead of time. Make Your Resort Great Again! February 7, 2017 ResortTrades Comments Off on Make Your Resort Great Again!